Reb Shlomo Hadrashan! Live in Lakewood. 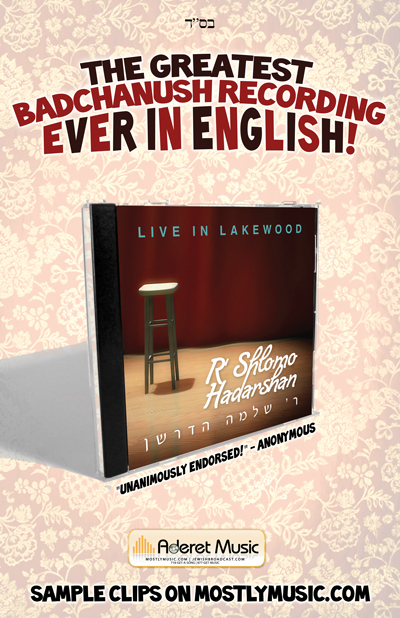 Reb Shlomo Hadrashan, has just released the follow up CD to Bod-Chu-Nis Comedy CD. This new CD titled “Live in Lakewood” is now available through MostlyMusic.com. Here are some of the track names for this album. Zayde/Babbe, Chosson/Kallah, Modern Orthodox/Williamsburg, Intermission, Chazunus, Music, Ode, Never Ending Speaker, Chossons Friend.